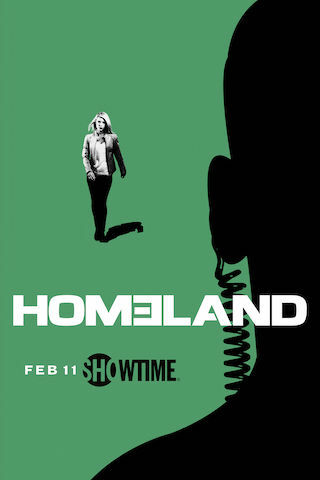 Homeland is an American 60 minute scripted espionage television series, which kicked off on October 2, 2011, on Showtime and is broadcast every Sunday at 21:00. The show is currently in its 7th season. Showtime has officially confirmed the renewal of Homeland for Season 8. The exact release date is yet to be announced so far. Sign up to track it down. August 6, 2018 - Today, SHOWTIME announced that the eighth season of its Emmy® and Golden Globe® winning hit drama HOMELAND will be the series' final season, and will premiere in June 2019. Production on the final 12 episodes will begin in early 2019 in a still to be determined location. Season seven of the series this year continued its eerily accurate reflection of the world's current political and national security landscape, as Carrie Mathison (Danes) worked to expose a vast international conspiracy determined to bring down the Keane Administration. Carrie, along with the administration's new National Security Advisor Saul Berenson (Patinkin) were thrown into a labyrinth of double agents, social media bots, "fake news" charlatans and Russian active measures, all designed to wreak havoc on America's democratic institutions. The season concluded with the surprise resignation of President Keane (Elizabeth Marvel) and Carrie's bittersweet reunion with Saul, after being held captive in Russia for seven months.